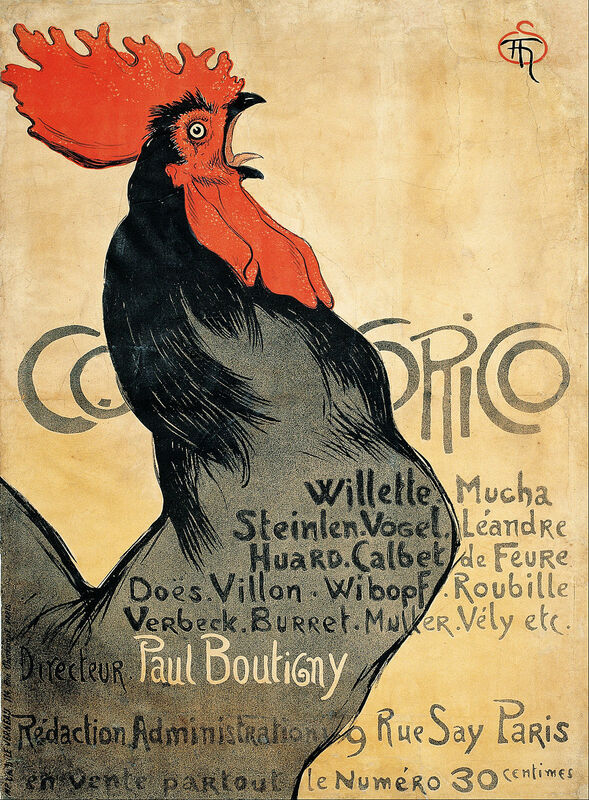 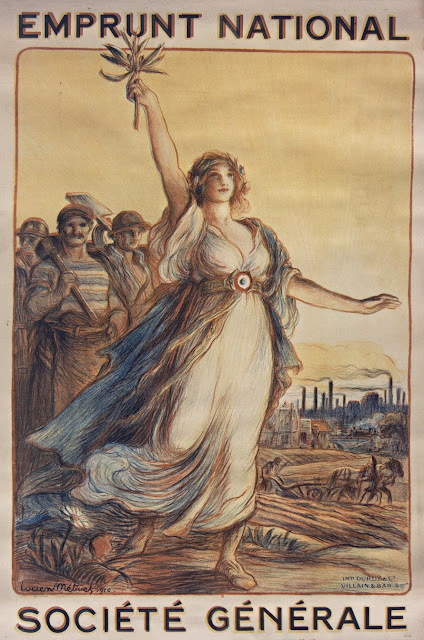 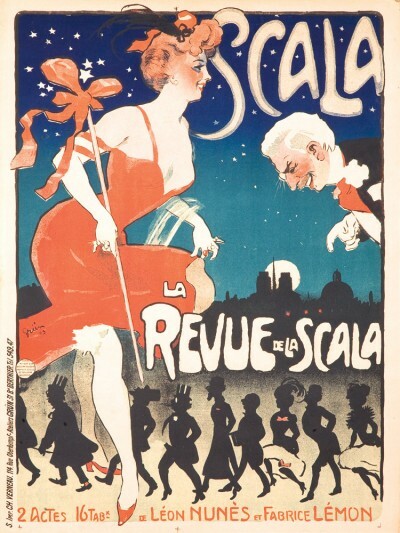 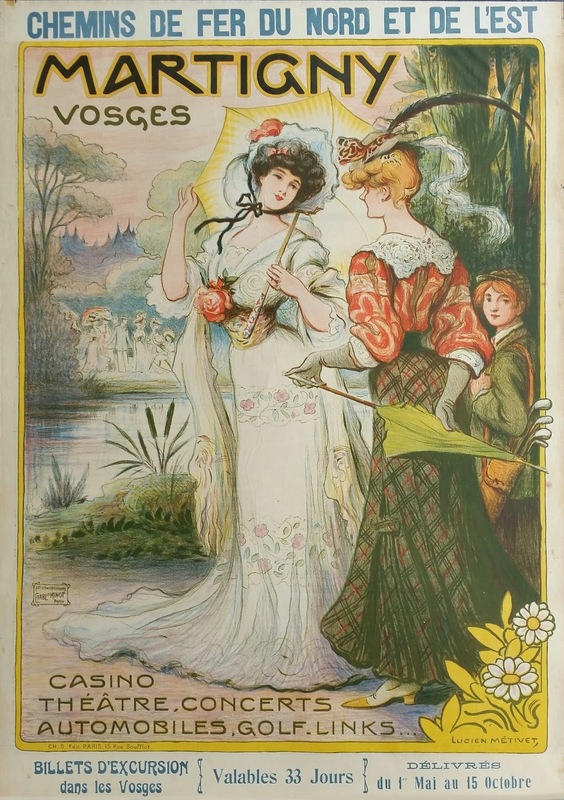 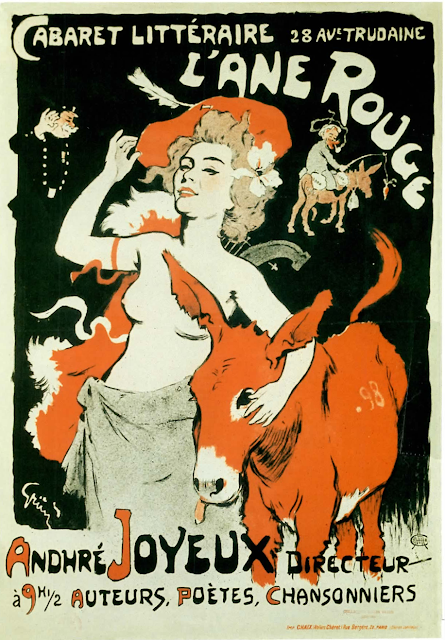 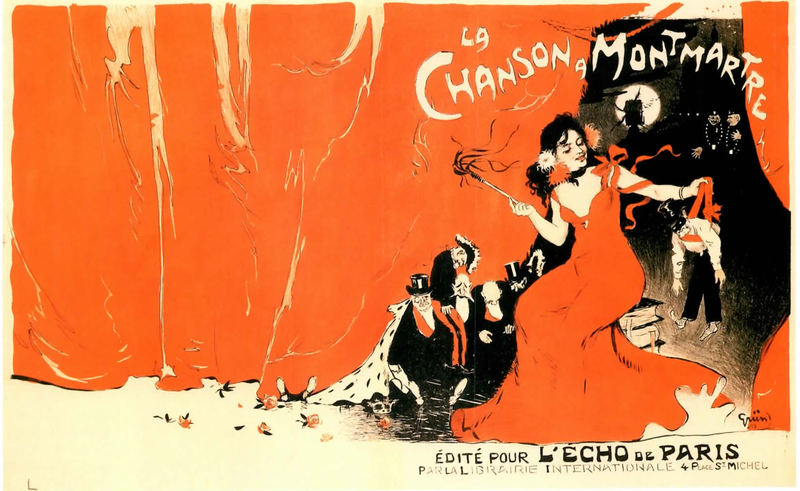 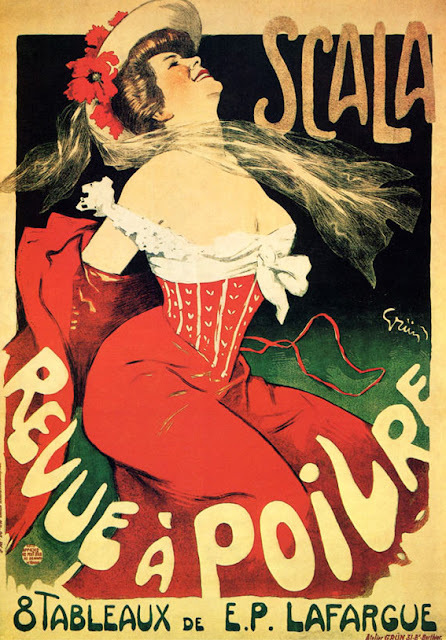 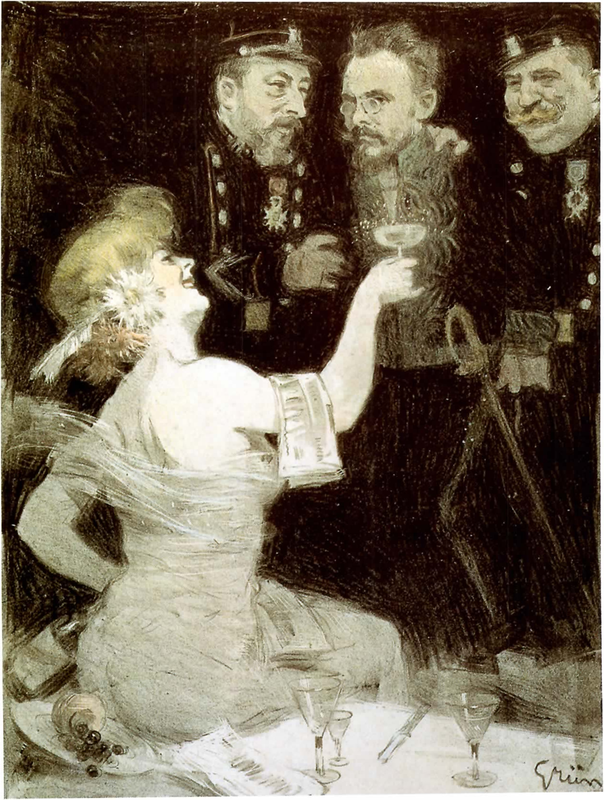 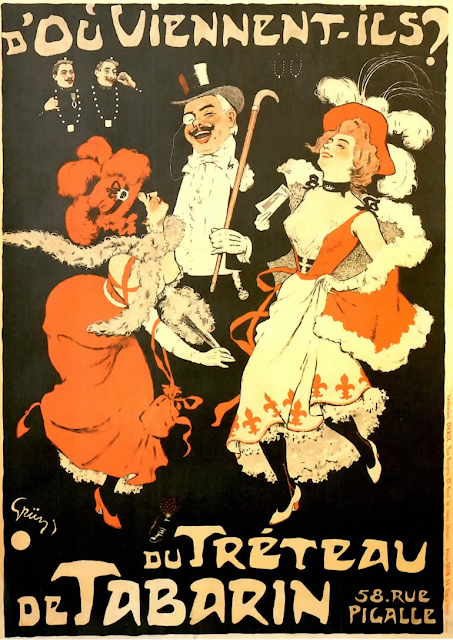 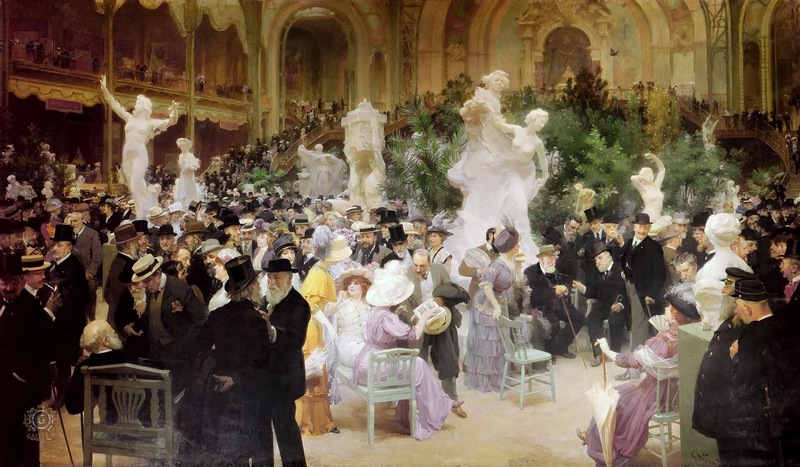 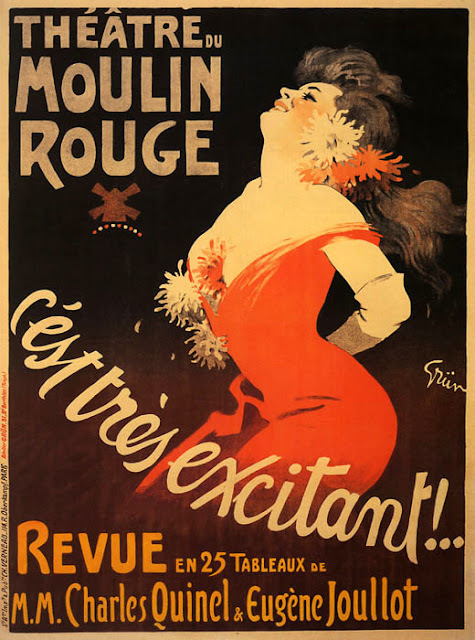 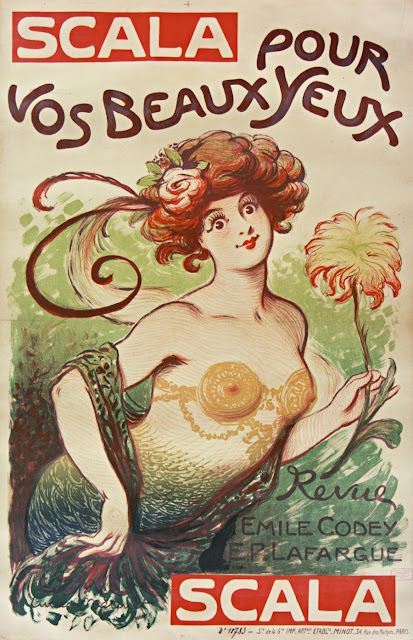 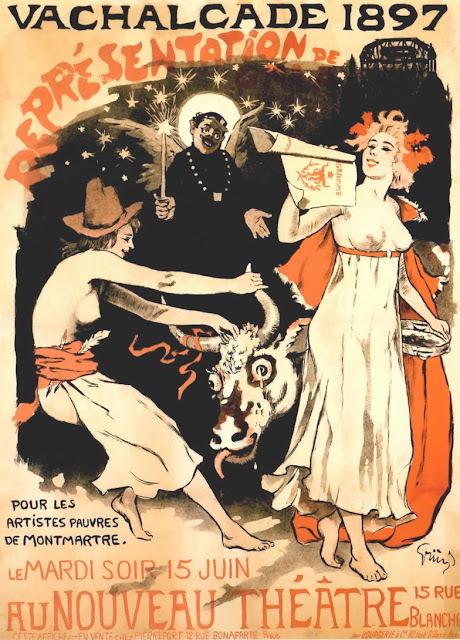 This is part 8 of a 9-part series on art of the Belle Epoque. 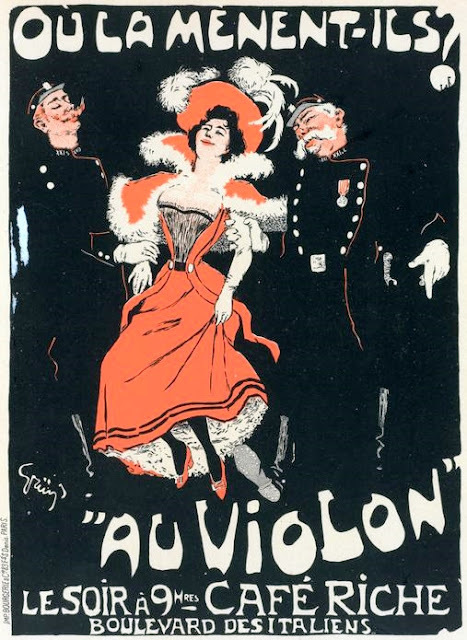 For more works in the series see parts 1 - 7 also. Jules-Alexandre Grün was a post-impressionist painter, illustrator and poster artist. Born in Paris, Grün studied under Jean-Baptiste Lavastre, the theatrical director of the Paris Opera, and Antoine Guillemet, the noted landscape painter. 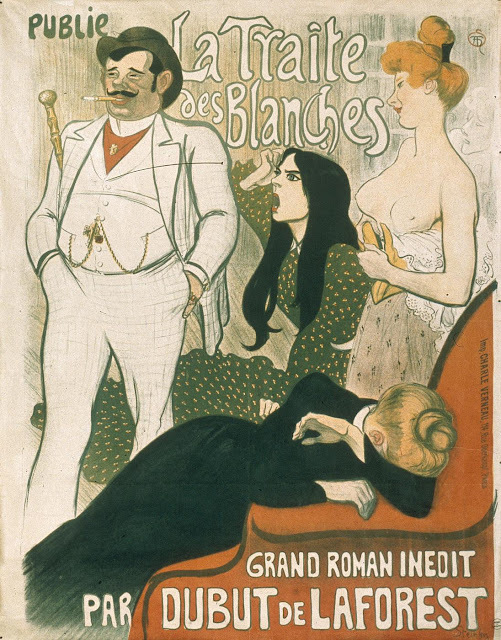 Grün was especially fond of painting scenes of Bohemian lifestyle. He worked at the Chaix Printing Company where Jules Chéret was his art director. 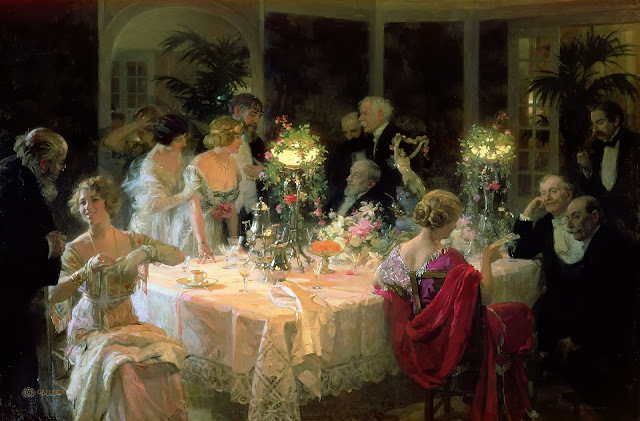 Grün’s best known painting titled “The Dinner Party” was completed in 1911. 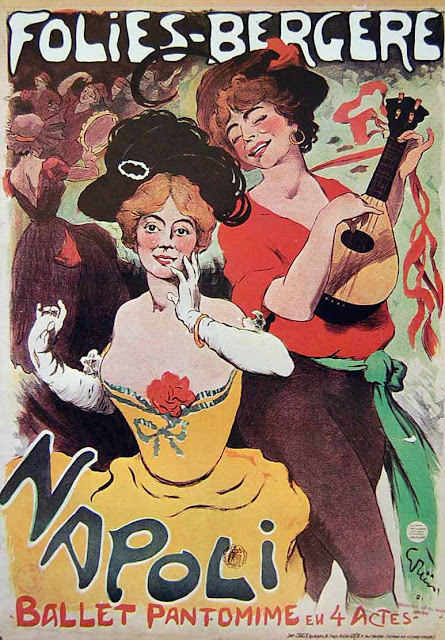 La Pepiniere, oh! 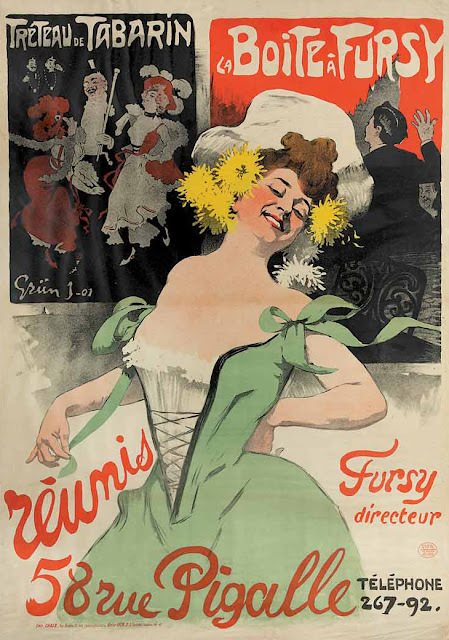 la la! 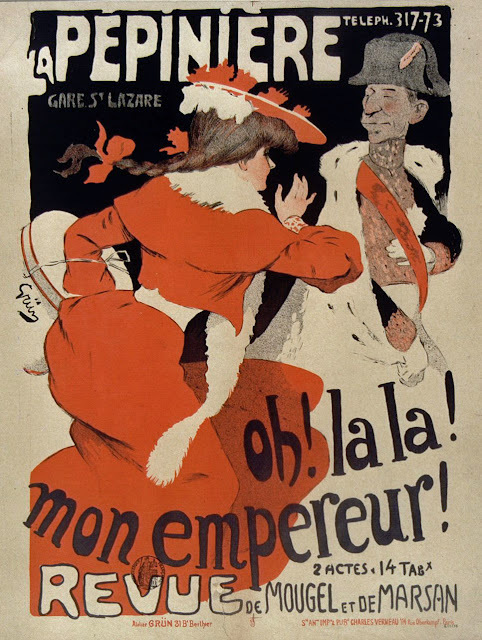 mon empereur! 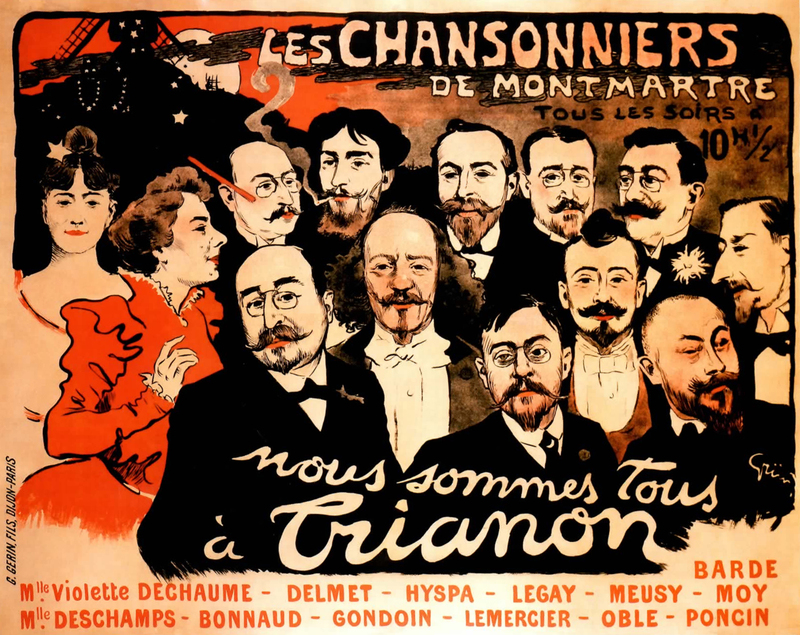 Où la Menent-Ils? "Au Violin"
Lucien Métivet was a French poster artist, cartoonist, illustrator, and author who achieved notoriety during the Belle Epoque. 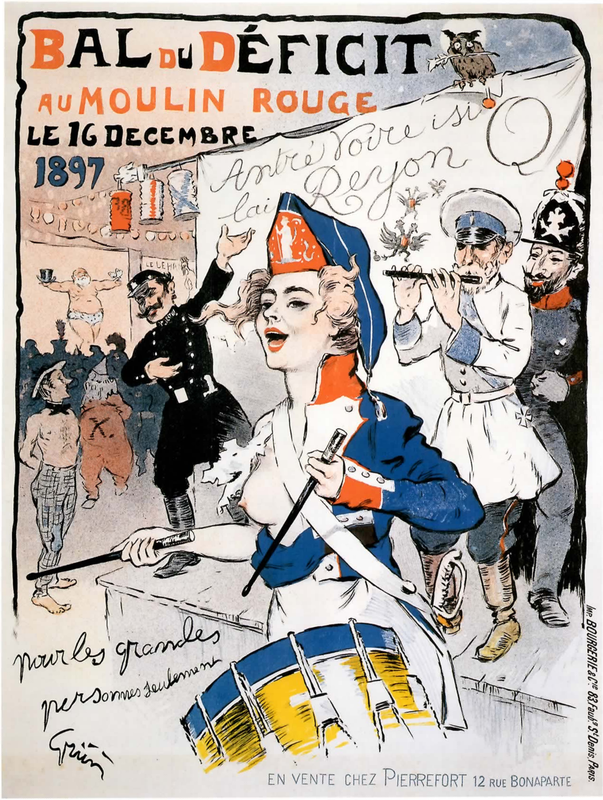 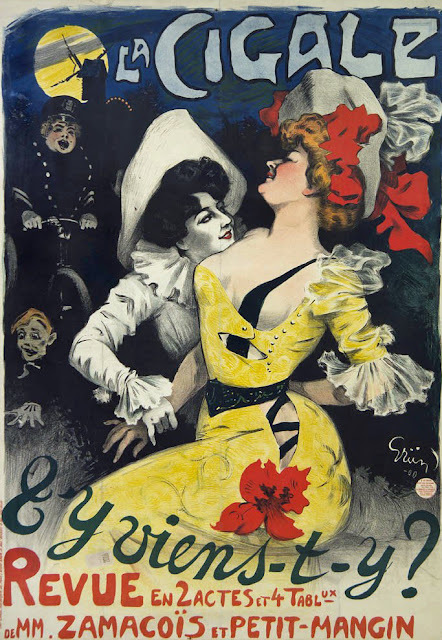 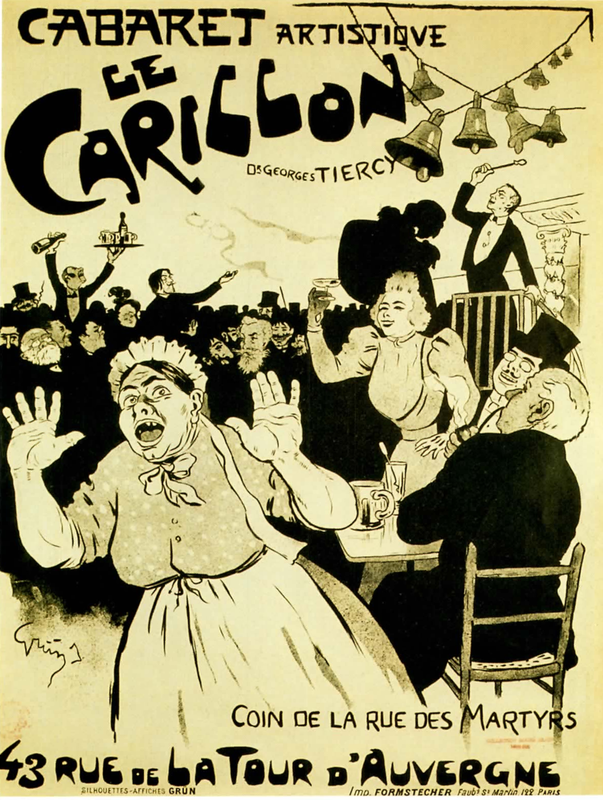 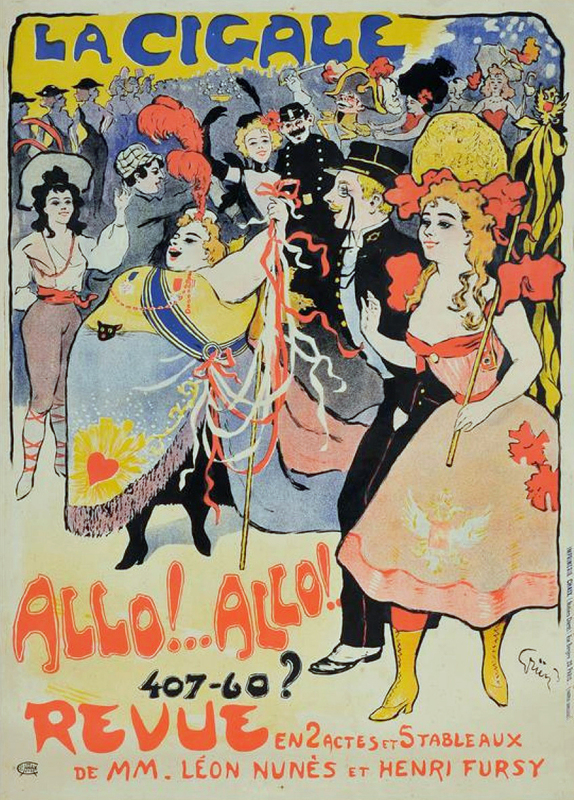 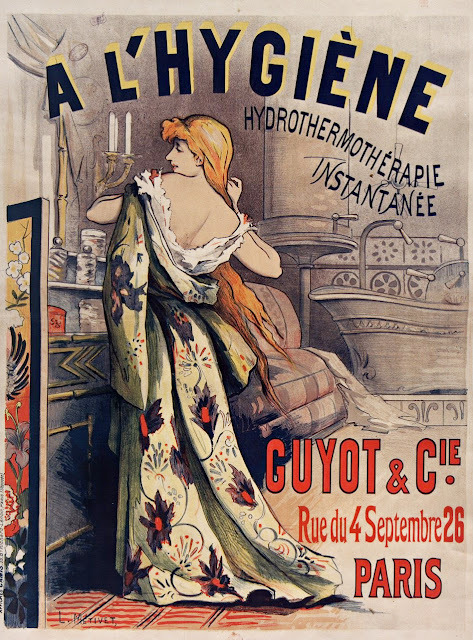 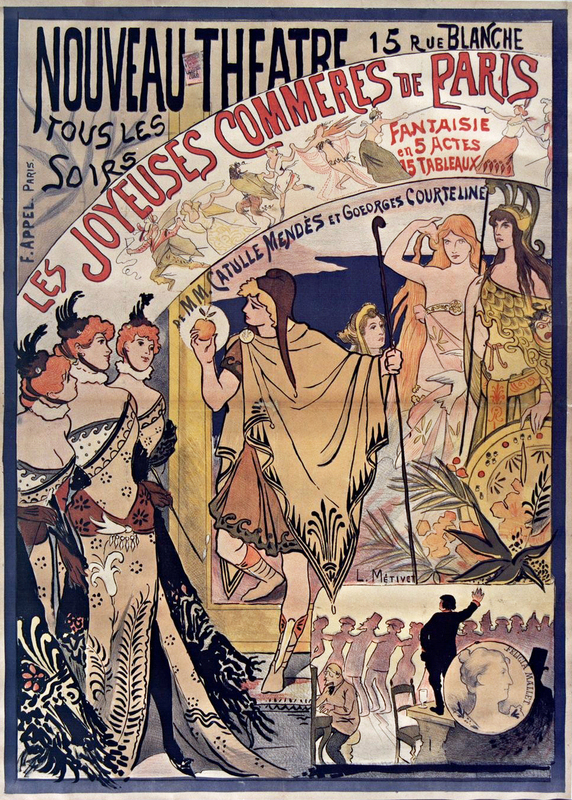 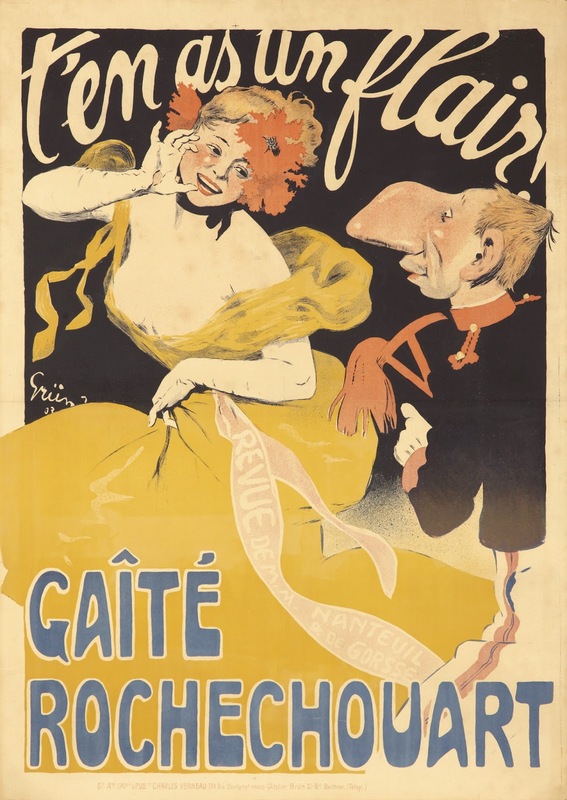 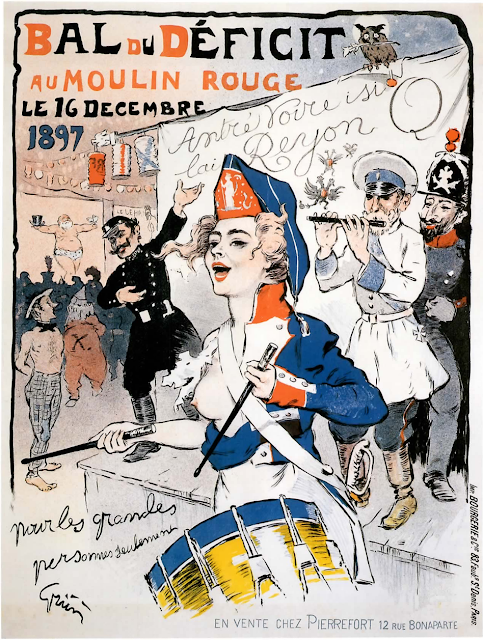 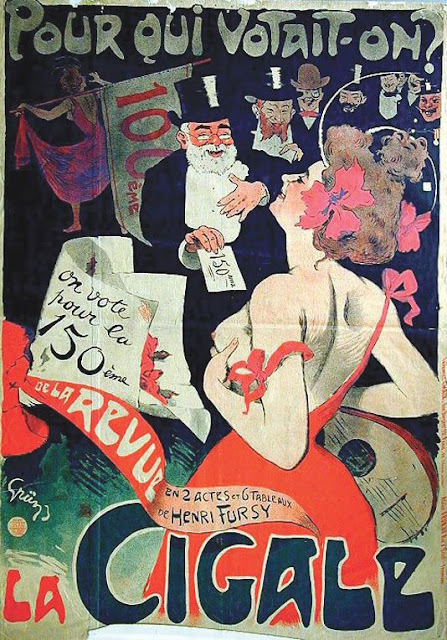 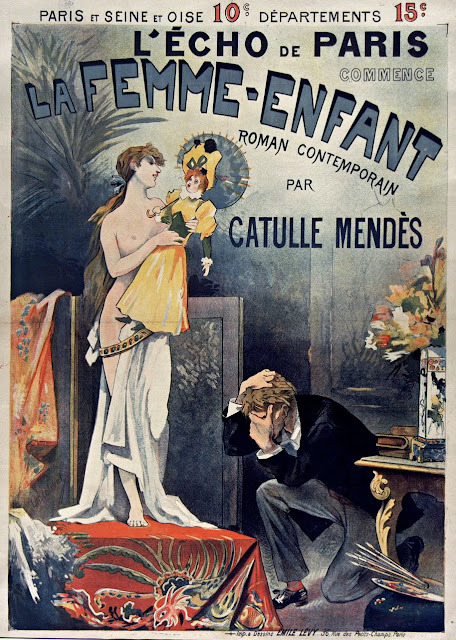 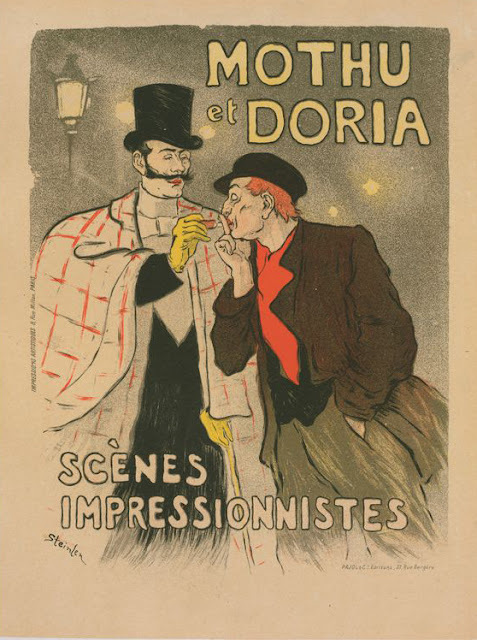 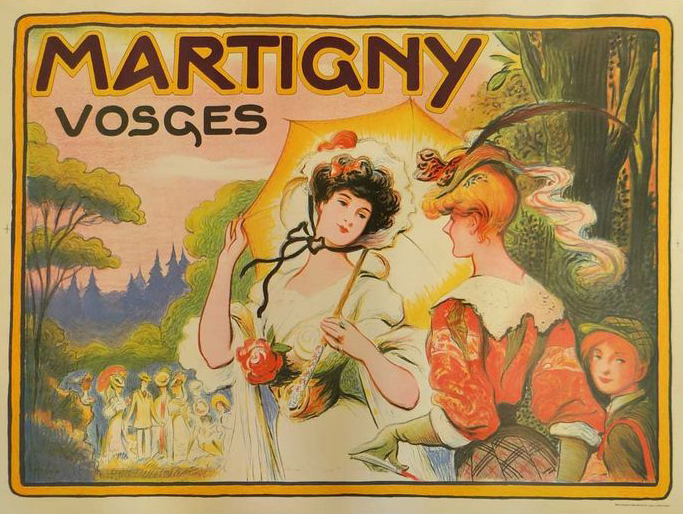 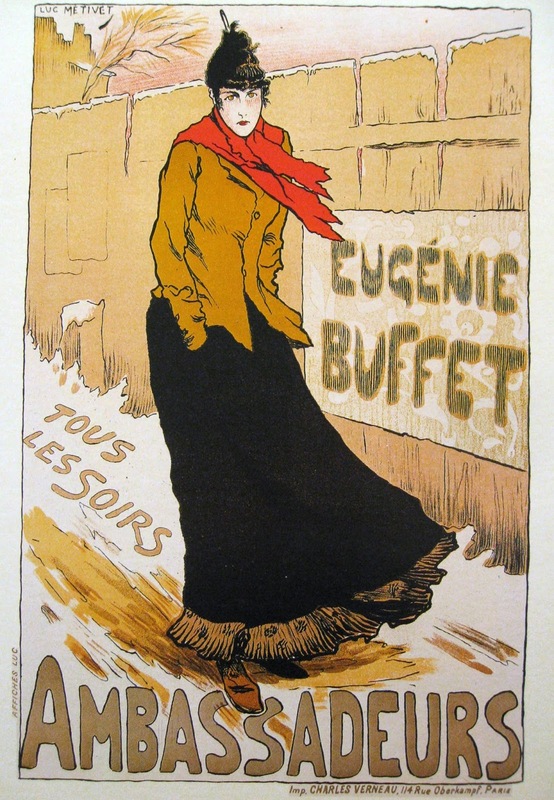 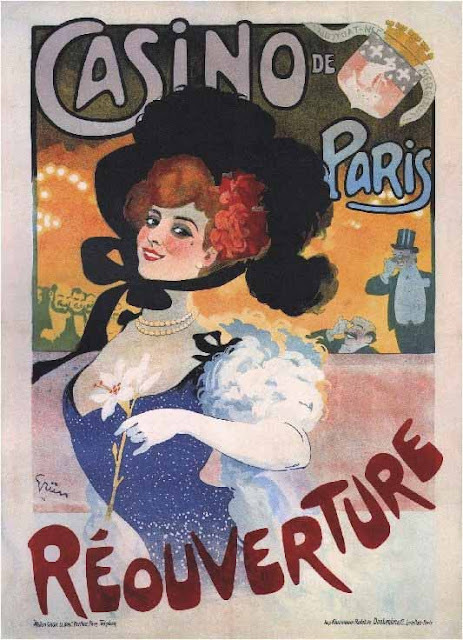 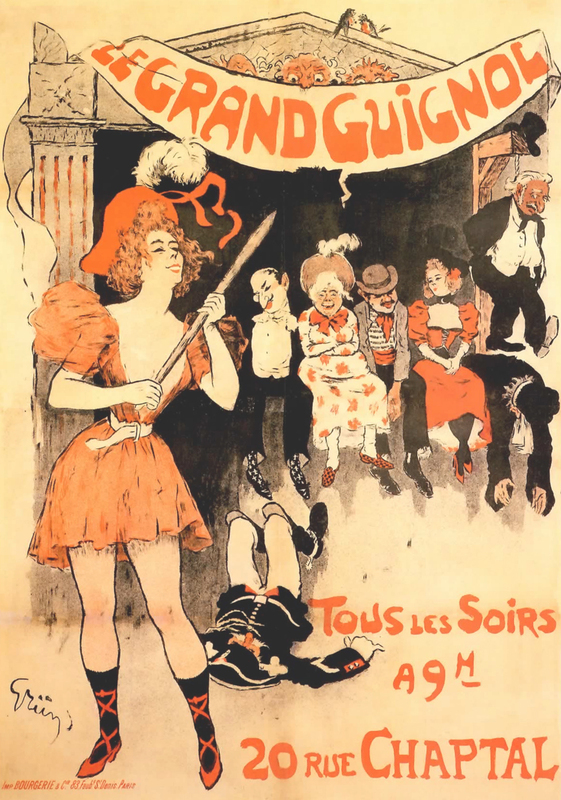 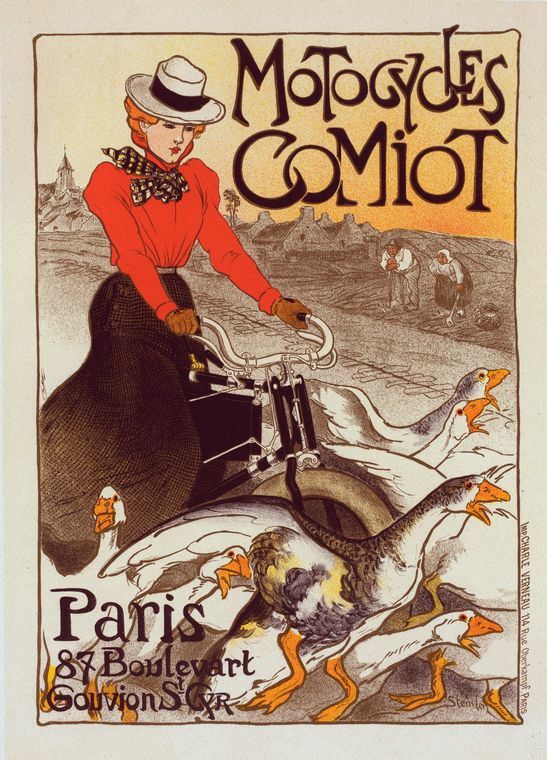 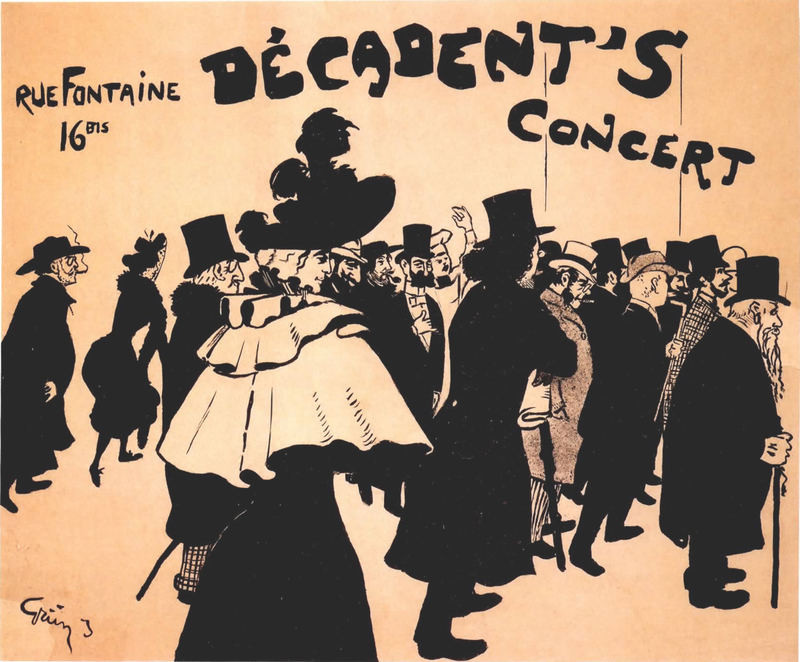 Best known for his 1893 poster of the chanteuse Eugénie Buffet, he was also a popular cover artist for the Parisian humour magazine "Le Rire" and a frequent contributor of cartoons and illustrations to it and other magazines. 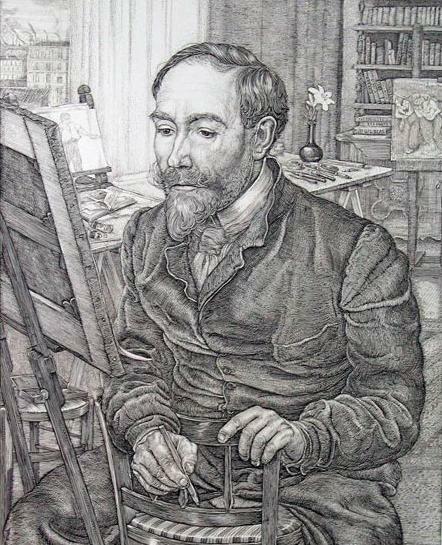 He illustrated books by a number of prominent authors of the time and wrote at least two books of his own. 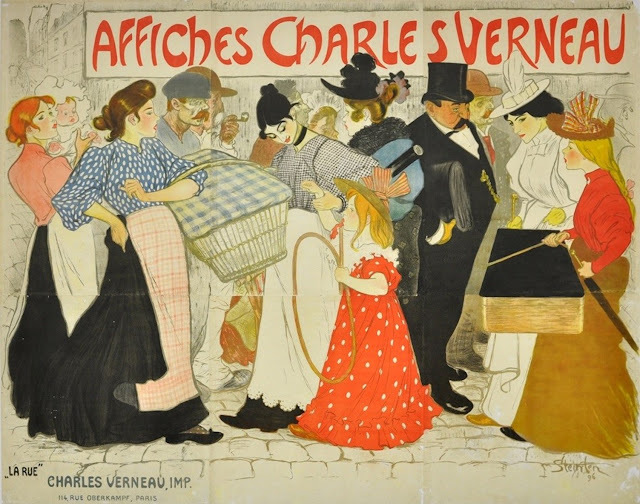 Théophile Steinlein was born in Lausanne and studied at the University of Lausanne before becoming a trainee designer at a textile mill in Mulhouse, France. 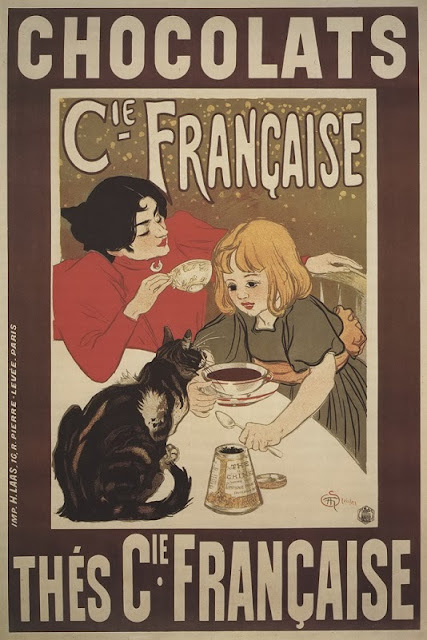 In his early twenties he and his new wife were encouraged by painter François Bocion to move to the artistic community in Montmartre, Paris. 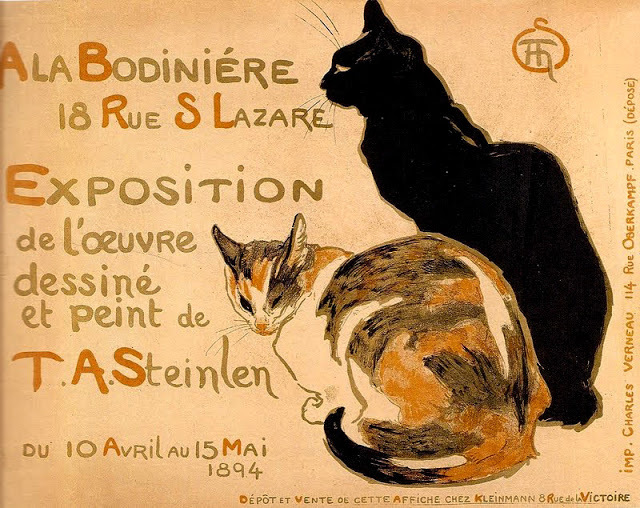 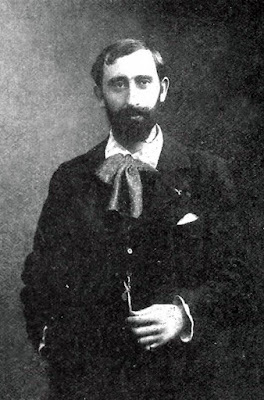 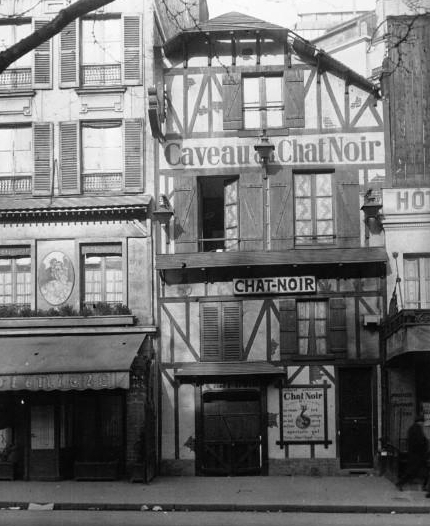 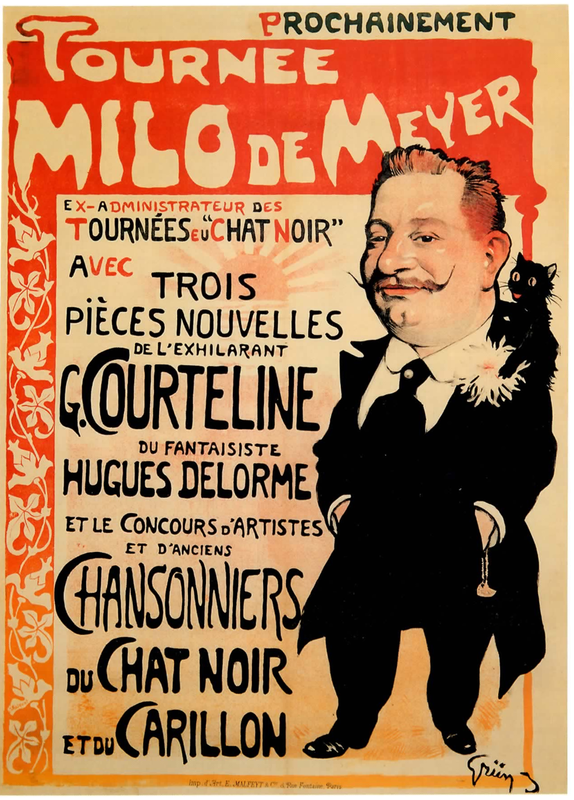 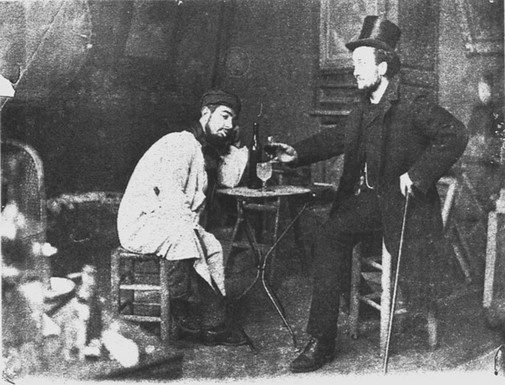 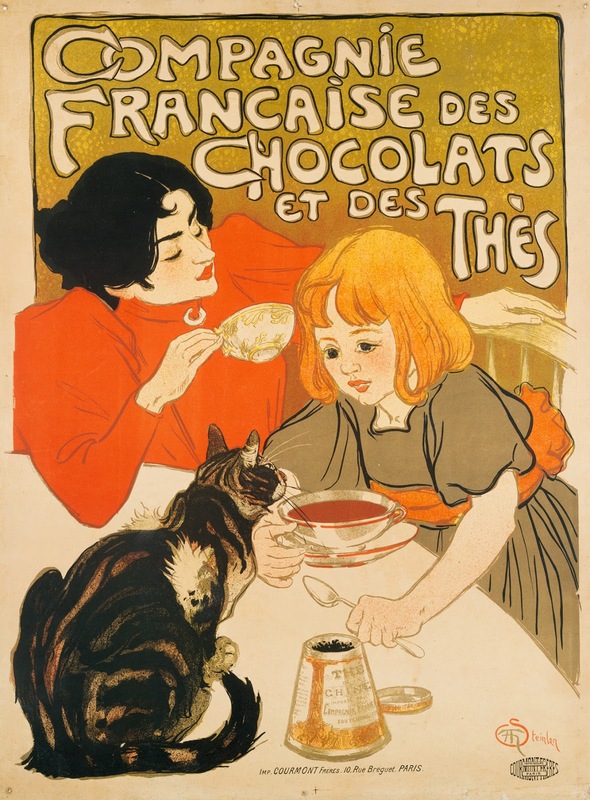 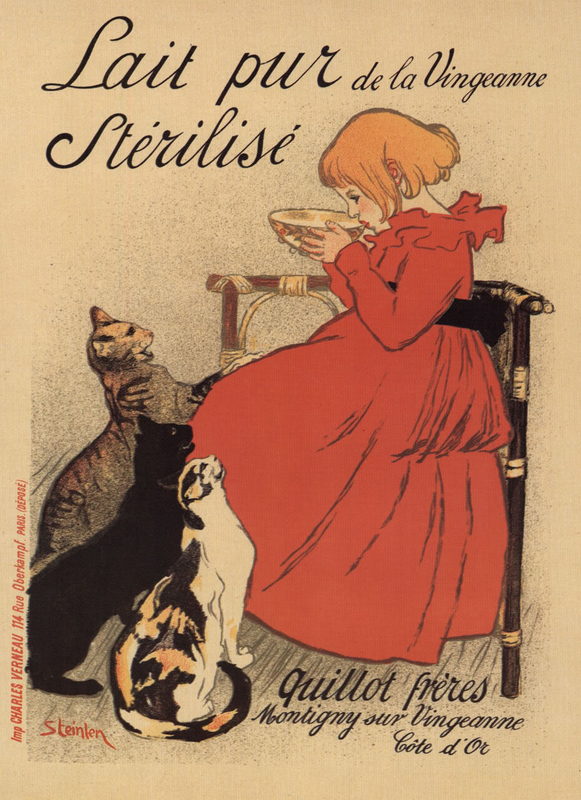 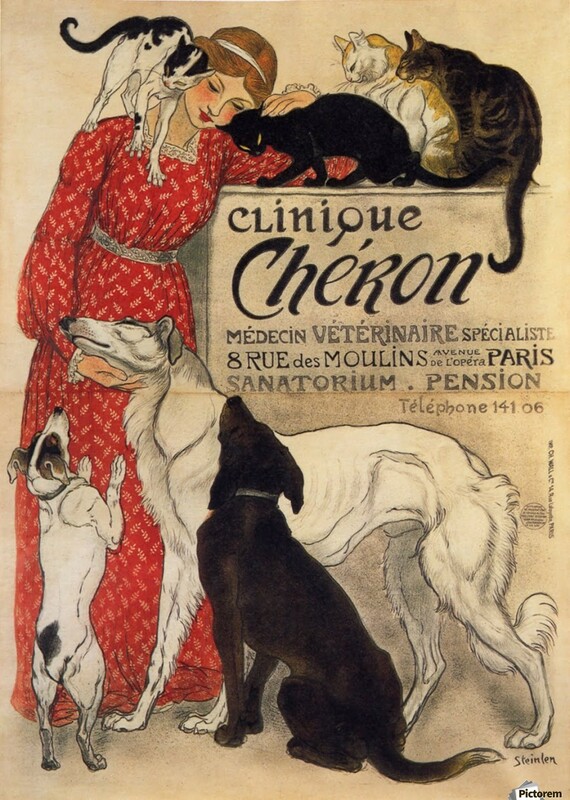 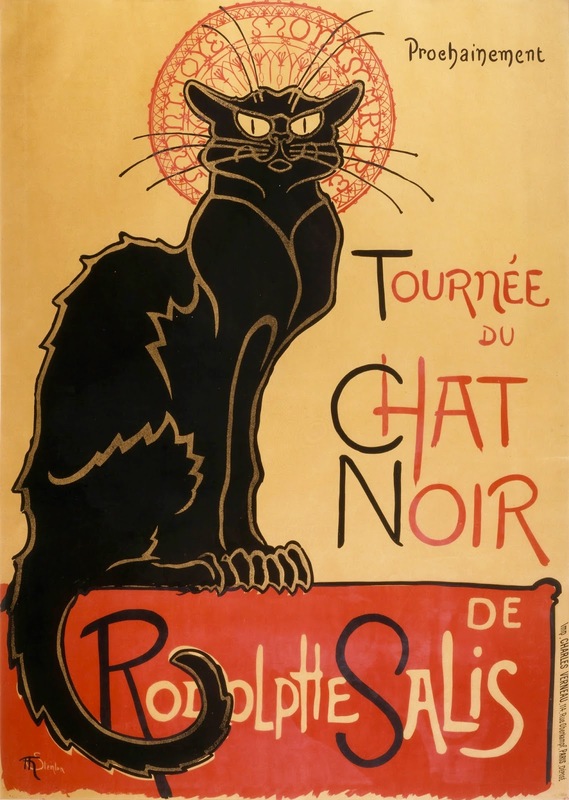 Once there, Steinlein was befriended by the painter Adolphe Willette, who introduced him to the artistic crowd at 'The Black Cat' (Le Chat Noir). 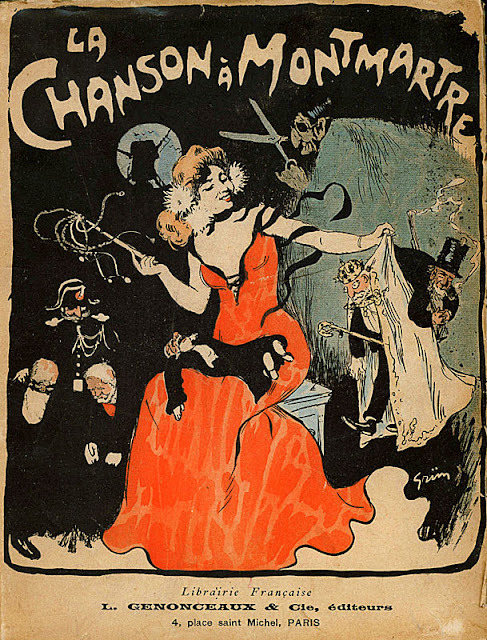 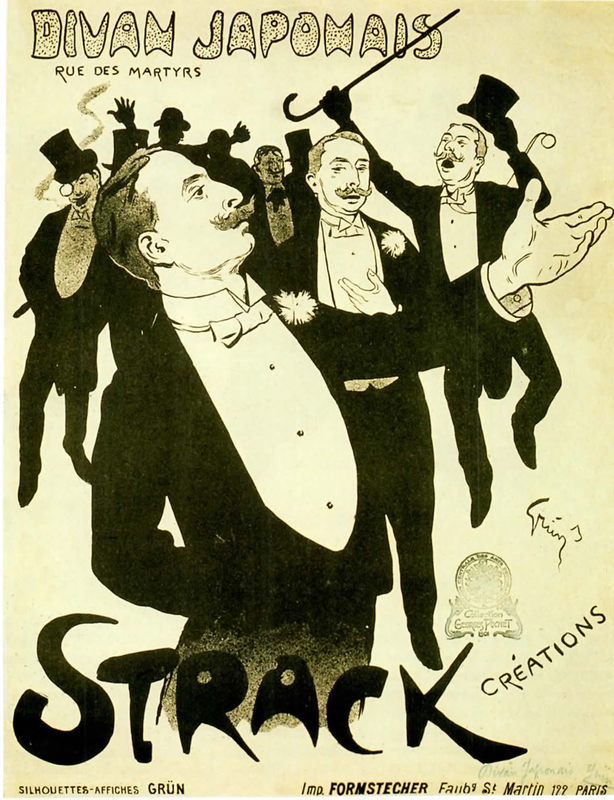 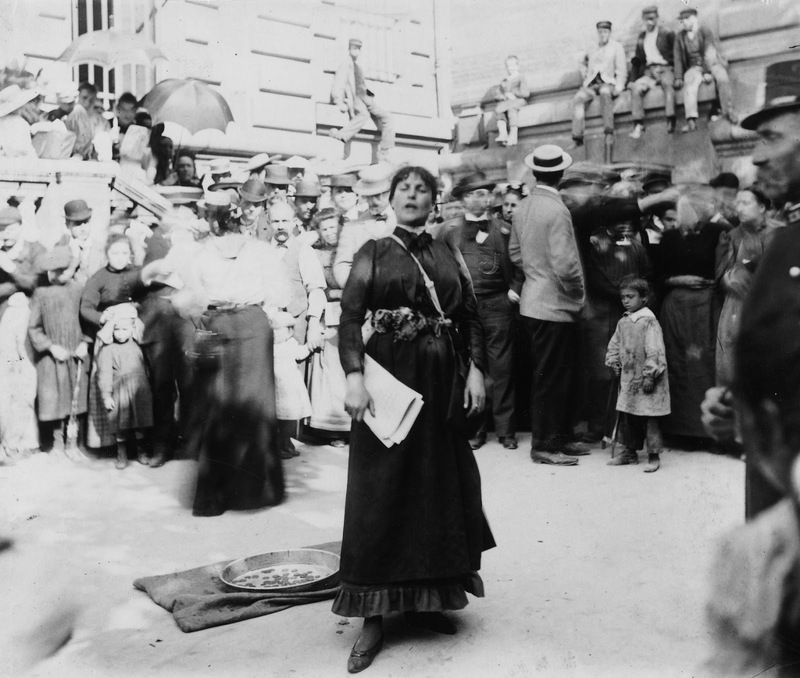 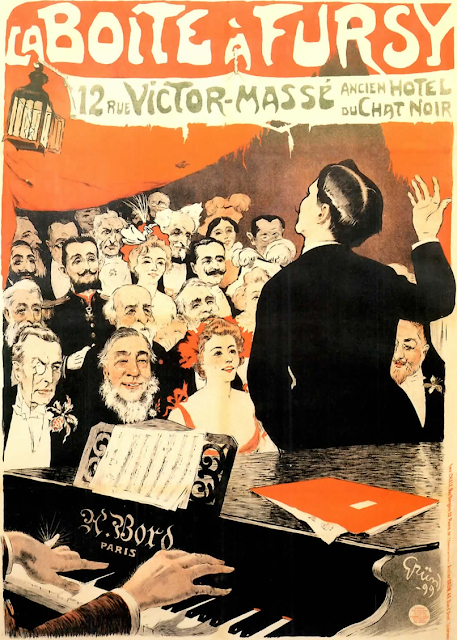 This led to commissions for posters from Aristide Bruant, the cabaret owner and entertainer.